Cast your vote for the 2017 Cybersecurity Excellence Awards, here! The need to increase awareness around the importance of cybersecurity is being championed by an increasing number of organizations and among them is the Department of Homeland Security (DHS).They have even designated the month of October as National Cyber Security Awareness Month. 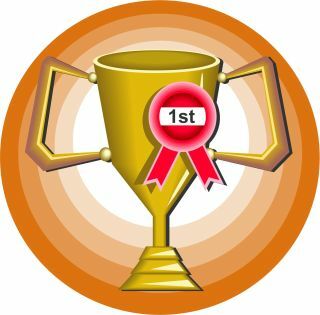 In a similar vein, the annual Cybersecurity Excellence Awards has been established to recognize products, companies, and individuals that demonstrate excellence, innovation, and leadership in the field of cybersecurity. The awards are produced in partnership with the 300,000+ member strong Information Security Community on LinkedIn and nominations are currently being accepted for the Cybersecurity Excellence Awards 2017. We are very proud to announce that our very own Cybrary.it is a nominee in the category of Best Cybersecurity Education Provider for the Cybersecurity Excellence Awards 2017. Threats to computer systems, networks, and the data contained within them have risen to an astounding level. Well-publicized data breaches such as the recent case of compromised credit card numbers at Target or the cyber-hacking of government agencies such as the GSA have become all too common occurrences and there is little evidence that these kinds of attacks are slowing down. To make matters worse, those in charge of securing such systems are becoming overwhelmed and outnumbered. These disturbing trends only serve to underscore the urgent need for more qualified professionals to enter the cybersecurity industry. Demand for cybersecurity professionals has never been higher. The number of qualified applicants with cybersecurity training and certification falls well short of the number of open positions. In a tough economy with ever-shrinking job opportunities, the cybersecurity industry remains a bright spot; however, obtaining the necessary training to fill these positions remains an obstacle to many aspiring students. Specialized courses in cybersecurity often run into the thousands of dollars, a sum that puts such education out of the reach of many students. Cybrary.it was founded on the mission to deliver high-quality, online technical training with an emphasis on cybersecurity at no charge to anyone desiring to expand their education and advance their career. 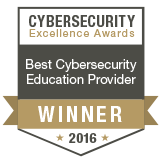 Cybrary.it was the proud winner of the 2016 Cybersecurity Excellence Awards in the category of Best Cybersecurity Education Provider. We at Cybrary.it are not content to rest on our laurels. Instead, we have continued to work hard to create and deliver the finest online technical training that can be found anywhere—free or paid. It’s because of our incredible subject matter experts as well as our passionate and hard-working students that we are where we are today. We encourage our students and those who wish to support our work to please cast a vote for Cbyrary.it for the Cybersecurity Excellence Awards 2017.